Remodeling a home is about cosmetics and function, and pairing a home remodel with a deck installation or renovation makes perfect sense. While a deck may not be a structurally requisite feature of your home, having one sure seems like it is. By combining the two spaces and having both upgraded simultaneously, you can create an exceptional new outdoor/indoor experiences for your family and friends, and do a lot more than just a renovation! Making use of space is an art form, and it is entirely possible to combine two spaces into one experience. Matching certain elements from the interior of the home with elements on the deck or screened-in porch can keep an experience going. Elements as simple as matching colors are where it can start. Outdoor furniture should accent indoor furniture, and can, in some cases, use the same materials. But really making the most of a remodel and deck installation requires a professional to actually make the structural elements match or complement from the interior to the exterior. For example, when a homeowner installs an outdoor kitchen, one way to create a truly exceptional experience is to match the materials of the outdoor countertop with the indoor counter. 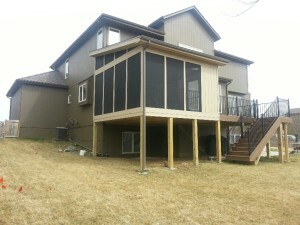 Another reason that getting a deck and interior remodel done simultaneously is to save time. 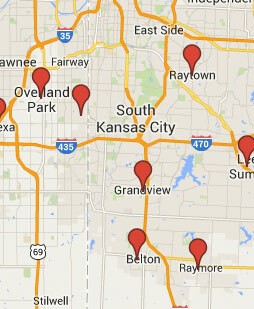 Remodels and deck builds are not quiet processes. Combining the two into a single installation window will mean less time that you have to deal with loud noise and unusable space. Plus, by working with a single contractor, you will know exactly who you need to contact with questions and additional suggestions. 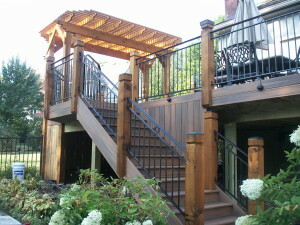 Decks and remodels go hand in hand, and can make homes, new to old, look fantastic. By doing them together you can create a seamless experience for yourself and your guests when enjoying your home.